If you would like to learn how to make Xavier’s watch the video below. Buttercream is used for all sorts of desserts, cakes and pastries so this recipe isn’t just a one trick pony! 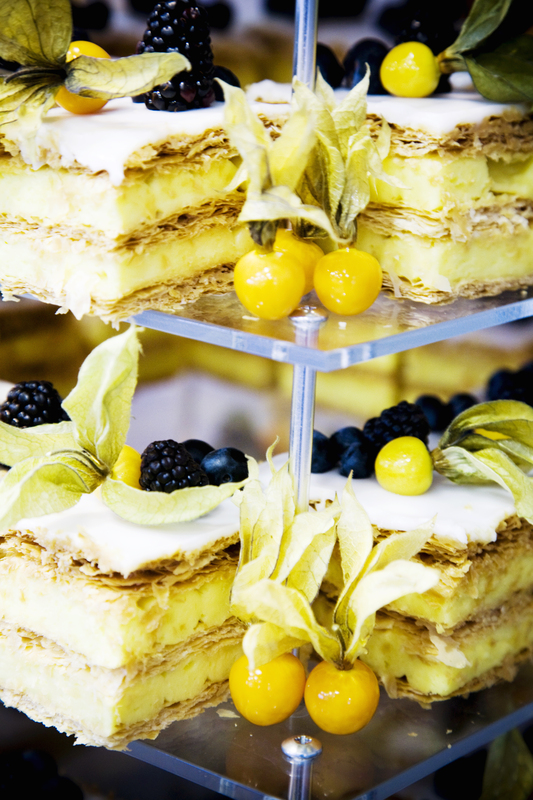 Mille-Feuille filled with Creme Patisserie. 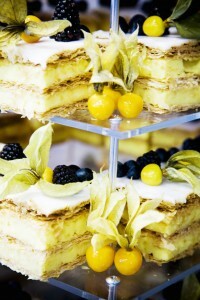 The key component to the Mille-Feuille is Crème Patisserie, which is also known as pastry cream. Crème Patisserie is made from five simple ingredients: eggs, corn flour, milk, sugar and vanilla. It’s one of the richest and creamiest products around lending itself to being a perfect filling for both pastry and sponge based desserts; none more so than the Mille-Feuille. In this particular dessert the crème patisserie is sandwiched between two layers of puff pastry; creating a smooth, delicate texture to contrast the light and crispy qualities of the pastry. In our latest instalment Xavier demonstrates how to create the filling for the Mille-Feuille and gives you a couple of great tips along the way. Don’t burn the milk – It’s all about controlling the temperature of the pan. Don’t put the heat too high. Just like custard cook it slowly on a medium heat to ensure the mix doesn’t overcook. Stir constantly – The last thing you want is it to burn on the bottom.